Read this month’s Villager Tower for complete information on Steamboat Days, as well as the story of Carver’s very own steamboat! Carver County Public Health is offering Back-to-School Immunization Clinics on Sept. 1 & 2 for students who do not have health insurance or whose insurance does not cover immunizations. The Chaska Herald has some great pictures and history of the rail line and bridge, connecting Chaska and Carver, that is being removed this summer. The 5.6-mile stretch of rail running between Louisville in Scott County through Carver and into Chaska was constructed by the Minneapolis-St. Louis Railway in 1870 and 1871 at a cost of $20,000 per mile, according to von Walter’s research. The grand opening run was made from here to Minneapolis on Nov. 25, 1871. Aug. 1, 8 and 13: Remove wood bridge trestle. Aug. 22, 29, and Sept. 7: Work continues on bridge. Remove road crossings in Chaska. Sept. 14 thru Oct. 10: Complete steel bridge span removal. Oct. 17 thru Oct. 24: Demolish concrete piers. Oct. 31 through Nov. 7: Final cleanup and re-grading. Carver County News & Highlights has been updated with an invitation to the Carver County Open Fiber Initiative Kick-Off Ceremony on August 16. Please visit the site for details. Carver County News & Highlights has recently been updated with Carver County Fair information, including “Hands-Only” CPR training. Visit the site for more details! Carver County News & Highlights has been updated with information regarding a public meeting on August 9 regarding the County’s Hazard Mitigation Planning Process. Please visit the site for additional information. 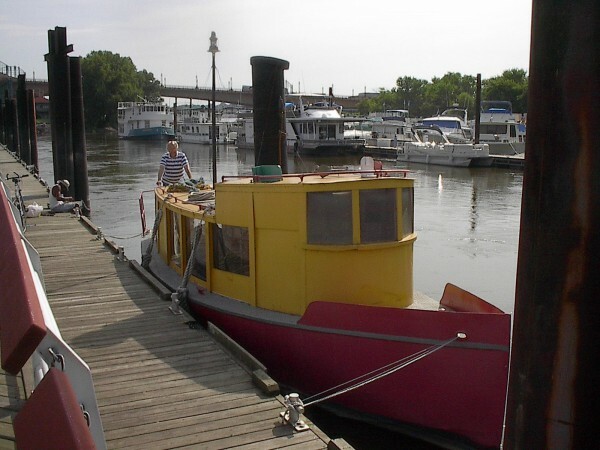 Carver on the Minnesota has accepted the donation of an 1890, fully restored, 30′ steamboat. More information on Carver on the Minnesota’s facebook page. The nonprofit was also written up this week in the Chaska Herald.